MULTI FUNCTIONAL. 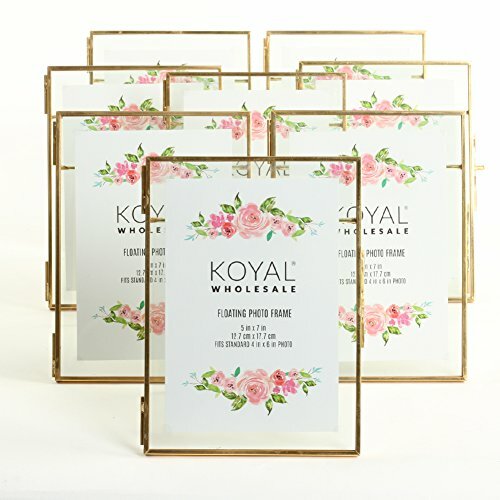 From wedding and special events to home decor these rental quality floating glass frame stands are perfect for everyday use. EXCELLENT QUALITY. Made of glass and heavy weight metal, this floating frame securely holds your cherished memories, prints, artwork and more. Frame stand design allows for pressed glass art to be displayed either horizontally or vertically.